Virat Kohli Faces Backlash For Asking Fan To Leave India Virat Kohli Faces Backlash For Asking Fan To Leave India: Kohli made the statement during the launch of the Virat Kohli official app on his 30th birthday on Monday. 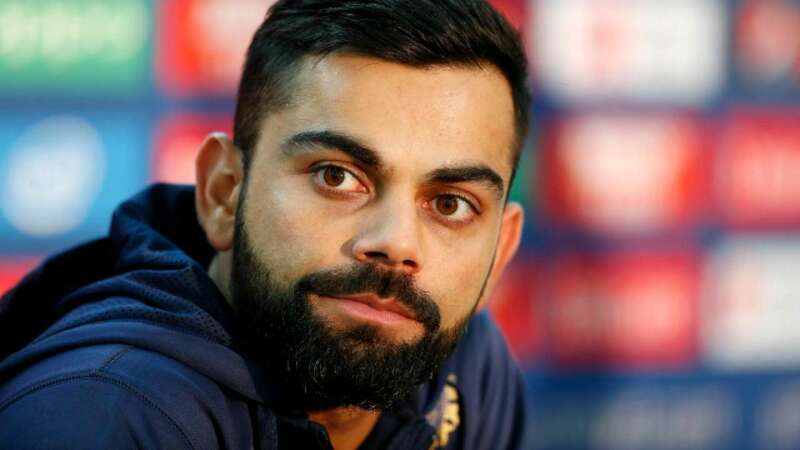 Indian cricketer Virat Kohli has found himself involved in controversy off the field after recommending that Indian cricket fans who support overseas batsmen more than the Indian cricketers should leave the country. Kohli made the statement during the launch of the Virat Kohli official app on his 30th birthday on Monday. The Indian skipper was answering to a sequence of mean tweets, in which one user revealed supporting Australian and English batsmen more than Indians. "Over-rated batsman. Personally, I see nothing special in his batting. I enjoy watching English and Australian batsmen more than these Indians," read one of the comments, according to News18. To which the Indian batting superstar responded with the following statement: "Okay, I don't think you should live in India then... you should go and live somewhere else no. Why are you living in our country and loving other countries? I don’t mind you not liking me but I don't think you should live in our country and like other things. Get your priorities right." While the Indian skipper is known to be an outspoken cricketer who does not mince his words and gives it back to the opposition on the field, his latest comments are being perceived as imposing, and an attack on the fans in terms of their right to choose their idols. Kohli has been rested for the T20I leg of West Indies' tour of India after leading the hosts to 2-0 and 3-1 series victories in the Tests and ODIs (One Day International) respectively. He will be seen in action during the tour of Australia next, in which the Indians are scheduled to play three T20Is, as many one-dayers and four Tests.